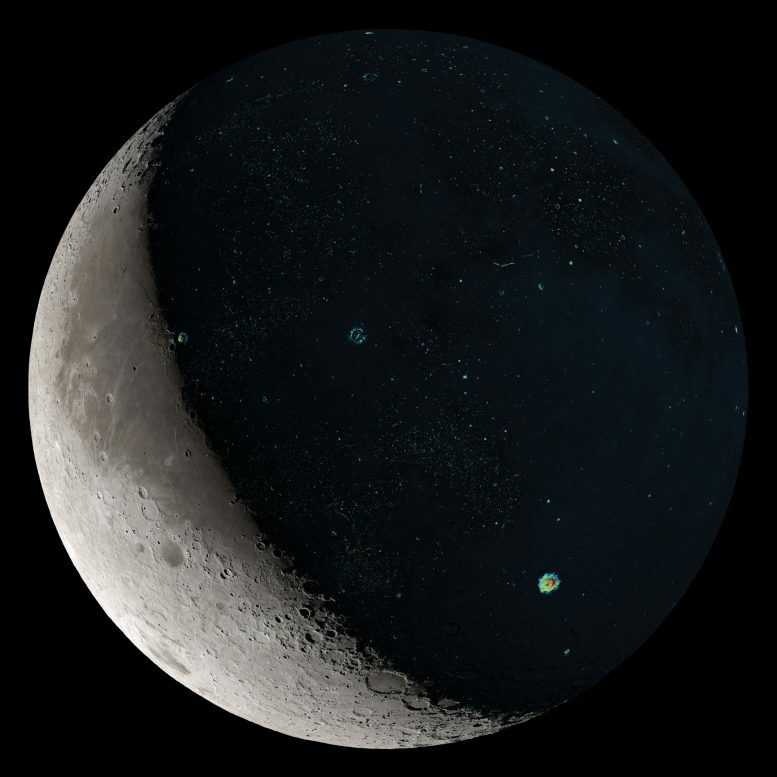 he image shows a waning crescent Moon. Plotted on the night side is the LRO Diviner rock abundance map. The most prominent craters visible in the map are Tycho (85 million years old), Copernicus (797 million years old), and Aristarchus (164 million years old). The terminator passes through the Aristarchus plateau, dividing Aristarchus from its sister crater, Herodotus. Credits: Ernie Wright/NASA Goddard. A way to sidestep this problem is to examine the Moon. Earth and the Moon are hit in the same proportions over time. In general, because of its larger size and higher gravity, about twenty asteroids strike Earth for every one that strikes the Moon, though large impacts on either body are rare. But even though large lunar craters have experienced little erosion over billions of years, and thus offer scientists a valuable record, there was no way to determine their ages until the Lunar Reconnaissance Orbiter started circling the Moon a decade ago and studying its surface. “We’ve known since the Apollo exploration of the Moon 50 years ago that understanding the lunar surface is critical to revealing the history of the solar system,” said Noah Petro, an LRO project scientist based at NASA Goddard Space Flight Center in Greenbelt, Maryland. LRO, along with new commercial robotic landers under development with NASA, said Petro, will inform the development and deployment of future landers and other exploration systems needed for humans to return to the Moon’s surface and to help prepare the agency to send astronauts to explore Mars. Achieving NASA’s exploration goals is dependent on the agency’s science efforts, which will contribute to the capabilities and knowledge that will enable America’s Moon to Mars exploration approach now and in the future. LRO’s thermal radiometer, called Diviner, has taught scientists how much heat is radiating off the Moon’s surface, a critical factor in determining crater ages. 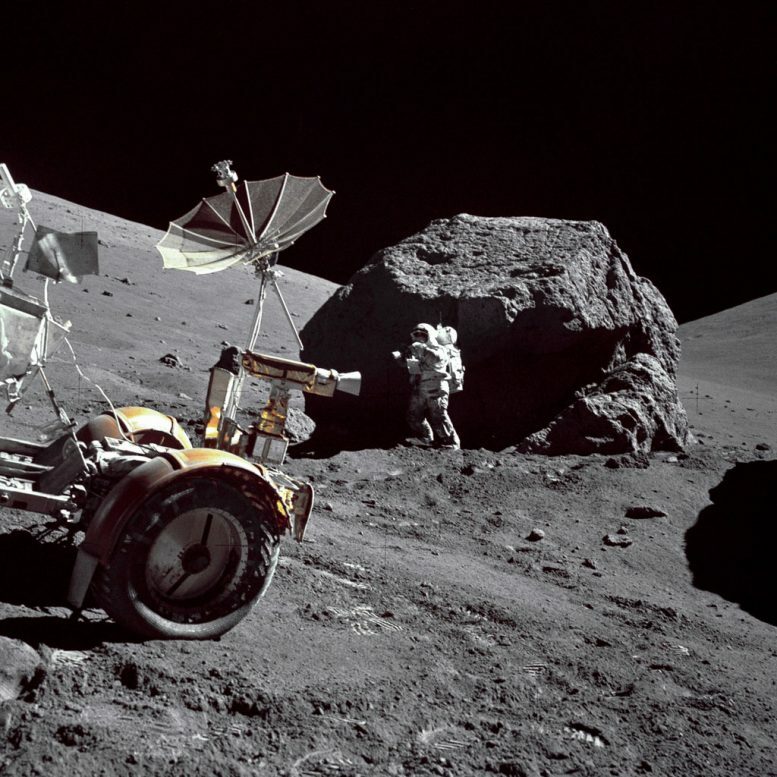 By looking at this radiated heat during the lunar night, scientists can calculate how much of the surface is covered by large, warm rocks, versus cooler, fine-grained regolith, also known as lunar soil. By analyzing data on lunar craters provided by the Diviner instrument aboard the Lunar Reconnaissance Orbiter, scientists have made a fascinating discovery about the history of impacts on both the Earth and the Moon. Watch this video to learn more. Gernon showed that kimberlite pipes formed since about 650 million years ago had not experienced much erosion, indicating that the large impact craters younger than this on stable terrains must also be intact. 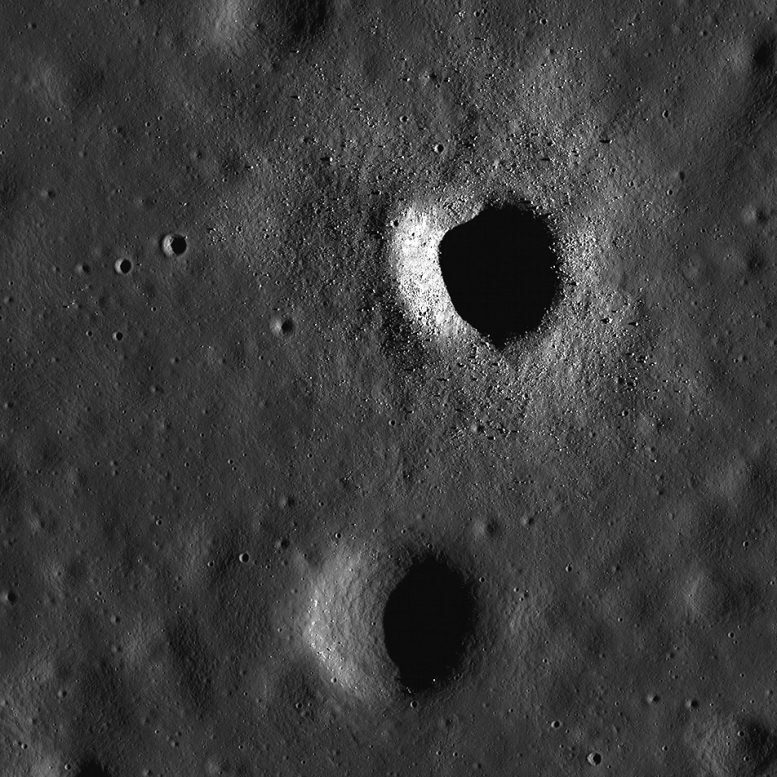 “So that’s how we know those craters represent a near-complete record,” Ghent said. Be the first to comment on "Moon Data Reveal Large Increase In Asteroid Impact History"